Home/Investigators and Research Centers/Investigators/Antonio Requena, M.D., Ph.D.
Dr. Antonio Requena, MD, is Assistant Professor at Rey Juan Carlos University in the Department of Obstetrics and Gynecology; Director Master’s Degree in Biology and Technology Applied to Assisted Human Reproduction IVI Madrid-European University of Madrid; Former Executive Manager of IVI Congress; IVI Madrid Director and Chief Medical Officer of IVIRMA Global. He graduated from the Complutense University of Madrid in Medicine and he completed his training in Gynecology and Obstetrics at the Autonoma University in Madrid. He went on to pursue a pre-doctoral training in invitro oocyte maturation at John Eppig’s laboratory (Bar Harbour, Maine, USA) and finally he achieved his PhD in Medicine from Rey Juan Carlos University in Madrid. Dr. Requena completed his training by studying several masters: Management Development at ESADE Business School, Management Program in Health Institutions at IESE Business School and Innovation and Leadership in Fertility in IE Business School. He has participated as a tutor in several projects financed by public entities, such as “Influence of glucose metabolism during oocyte maturation in cellular apoptosis. Clinical application in the diabeticpatient” at Autonoma University in Madrid. 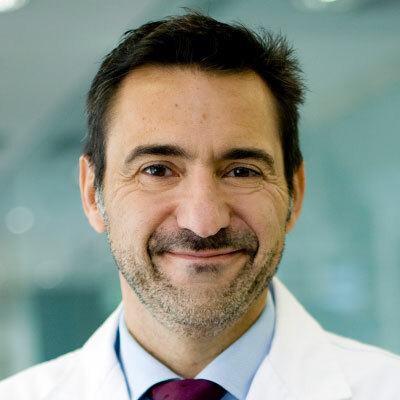 He is active in the Spanish Society of Fertility (SEF) and also attends the European Society of Human Reproduction and Embryology (ESHRE). Sterility, and as the editor for a textbook on Reproductive Medicine. His research interests include Endocrinology, Ovarian Stimulations, and genetics in Reproductive Medicine. Small-sized follicles could contribute to high-order multiple pregnancies: outcomes of 6552 intrauterine insemination cycles. Reprod Biomed Online, 37(5):549-554, 2018. Type of gonadotropin used during controlled ovarian stimulation induces differential gene expression in human cumulus cells: A randomized study. Economic impact of ovarian stimulation with corifollitropin alfa versus conventional daily gonadotropins in oocyte donors: a randomized study. Adenomyosis in infertile women: prevalence and the role of 3D ultrasound as a marker of severity of the disease. Type of gonadotropin during controlled ovarian stimulation affects the endocrine profile in follicular fluid and apoptosis rate in cumulus cells. Eur J Obstet Gynecol Reprod Biol, 197:142-6, 2016. Assisted reproductive techniques after fertility-sparing treatments in gynaecological cancers. Endocrine profile following stimulation with recombinant follicle-stimulating hormone and luteinizing hormone versus highly purified human menopausal gonadotropin. Endocrine profile following stimulation with recombinant follicle stimulating hormone and luteinizing hormone versus highly purified human menopausal gonadotropin. Reprod Biol Endocrinol. 29;12:10, 2014. Natural lh surge vs hCG triggered vs hormone replace treatment (HRT): do pregnancy rates differ? Letrozole administration during the luteal phase after ovarian stimulation impacts corpus luteum function: a randomized, placebo-controlled trial. J Reprod Med. 53:33-9, 2008. Transabdominal ultrasound-guided embryo transfer does not increase pregnancy rates in oocyte recipients. Maternal serum creatine kinase: a possible predictor of tubal pregnancy? Am J Obstet Gynecol. 175:238-40, 1996.